Imtiaz Abbasi (Urdu: امتیاز عباسی‎), (born 9 June 1968 in Poonch (now Punch), Azad Kashmir, Pakistan) is a former cricketer who played internationally for the United Arab Emirates. As a wicket-keeper, Imtiaz Abbasi made his mark in his first-class debut for Karachi against Quetta in the 1988 Patron's Trophy where he held seven catches, a record for domestic Pakistani cricket. 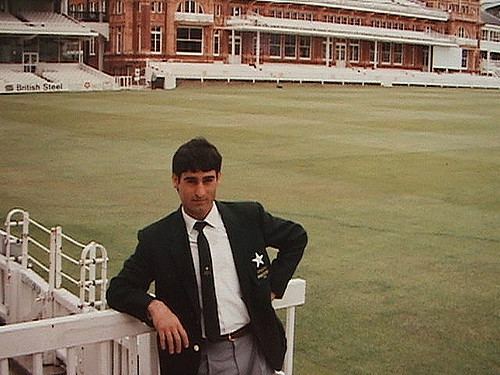 However, he did not play another first-class game, and later emigrated to the United Arab Emirates, for whom he first played representative cricket in the 1994 ICC Trophy, where he was declared best wicket-keeper of the competition after claiming 22 dismissals in nine matches. He also kept wickets for the UAE in the 1996 World Cup, where he played in 6 One Day Internationals.